Kanji kentei is a Japanese test where they test your kanji ability. So what is kanji ability? Notice how Japanese Kanji has so many characters written with complicated shapes and each character has so many ways to read it? Well they test you on how you could read and write these kanji. They have 12 levels with level 10 being the easiest level (they have some levels such as Pre 2 and Pre 1 so there are 12 levels in total) and most native speakers passes through level 10 to somewhere about 8 or 7. But when you go up to level 1 fewer than 15% of the students who take it only pass the tests. Since it requires you to have at least 70% or 80% scores of the test (depending on which level you take). If you have recently traveled to Tokyo and walked around the Asakusa area, you may have realized the unfinished tower standing. That is the Sky Tree under construction, for which the city of Tokyo is using approximately 40 billion yen in order to develop the Upper East Side of Tokyo. While living in Tokyo one may feel unease at being surrounded by the city and wish to get outside and escape the urban atmosphere. One of the closest and most beautiful places to visit located less than an hour away from Tokyo is Mt. 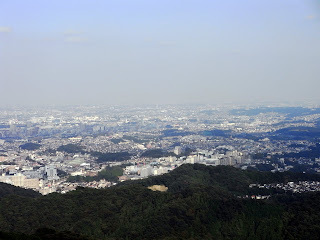 Takao, a popular hiking and tourist spot with breathtaking wildlife and landscape views. One can easily spend the day hiking up the mountain’s luscious forest paths up to the summit or by taking the cable car for a relaxing time within nature. Have you seen the sign, or heard of the word Ramen in Japan? Ramen is one of the most popular foods in Japan and consists of just noodles, soup, and some toppings. (It's absolutely delicious when you eat one after you have a nice drink with your friends outside!!) The first ramen was eaten during the mid-1600s and spread throughout Japan over a long period of time. Now you will see ramen stores almost everywhere in Japan; and today, thousands of Ramen stores all over Japan compete over who makes the most delicious ramen of all. Customers are always looking forward to eating the newest and most delicious ramen available. Soup flavors are usually soy sauce, miso (soybean paste), or salt-based and are topped with boiled eggs, menma (sungan), seaweed, and barbecued pork. However, there are many other original toppings and they vary depending upon where in Japan you eat them. 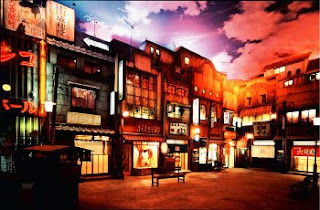 If ever in Osaka, one would be "missing out" if he left without visiting Dotombori (pronounced Dou-tom-bori); a single street filled with shops and restaurants located alongside the Dotombori canal. A popular destination for tourists and locals alike, Dotombori is a highly enjoyable destination with a very distinct energy and spirit full of Kansai pride. It is home to famous landmark signs, large, animated store front displays, an abundance of neon lights, and many delicious and reputable restaurants. Although Dotombori can be fun during the day, I recommend one visit this street in the evening, when the street will be attractively lit up with all of the neon displays.